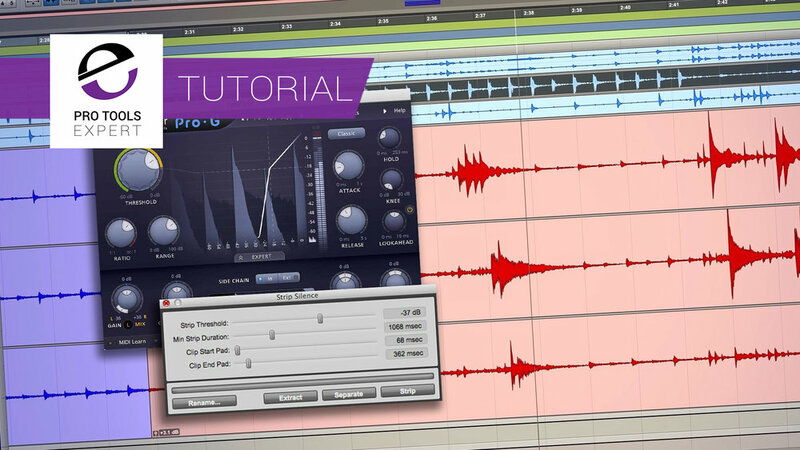 In this premium video tutorial, we show you five techniques that you can use to focus and process your close mic tom tracks in live multitrack drum recordings in Pro Tools. Close mic tom tracks in live multitrack drum recordings usually end up capturing a fair amount of bleed from other kit pieces such as snare and kicks. Microphones on the tom shells also pick up a lot of rumble from the tom heads which is caused by the rest of the kit's resonances. This "sound" isn't to everybody's taste as it can blur the overall picture of the drums in the mix. This video shows you five simple ways to process close mic tom tracks in live multitrack drum recordings.